When the curtains rise and multi-platinum recording artist Josh Groban takes the stage at the Peabody Opera House on Monday, Oct. 19, he won’t be the only rising star on stage. The Webster University Chamber Singers will join him. The Chamber Singers are joining Groban during the sold-out concert to back him up during the songs “Anthem” and “You’ll Never Walk Alone.” It is another major accomplishment by the student choral group and its director, Trent Patterson, assistant professor of music. The Chamber Singers have had a number of notable performances recently. This year, the Chamber Singers were selected to perform a new work during the reopening of the Pulitzer art museum. 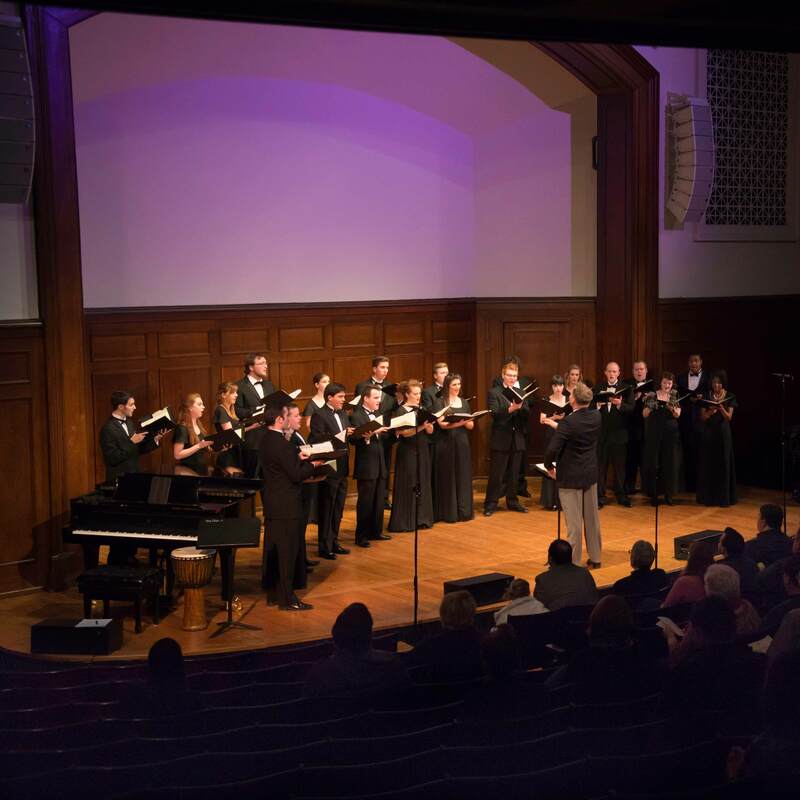 They also were named semifinalist in the college/university chorus division of The American Prize, a national non-profit multi-category competition in the performing arts. Last year, the Chamber Singers were one of only five college choirs selected to perform during the main session concert at the American Choral Directors Association (ACDA) biennial divisional conference. In recent years, the group also backed Todd Rundgren at the Orpheum and performed vocals during the “Star Wars in Concert” tour. For the students, it helps build their portfolios while also giving them unique experiences that they likely would not have received at other institutions. "I am so thankful that Webster continues to provide me with once-in-a-lifetime opportunities, such as sharing a stage with a world renowned musician like Josh Groban,” said Elizabeth Farris, a junior music major. "I continue to be inspired by my peers and professors and enjoy being challenged to perform to the best of my musical ability every day. Singing with Josh Groban will be an experience I can't ever forget and definitely one I will share with others for the rest of my life."